The parcel tax may only require a majority of voters to support due to a recent court decision. On Election Day, a large majority of Oakland voters cast ballots for Measure AA, but not a large enough majority, according to the language of the measure itself. That’s why most assumed Measure AA was dead in the water, but it may still have a chance of passing due to a recent court decision. Measure AA, a $198, 30-year parcel tax to fund early childhood education, received nearly 62 percent of the vote. The measure, championed by Mayor Libby Schaaf, faced significant opposition including the well-funded “Committee for Better Choices” PAC. Although the ballot measure stated that it required a supermajority (two-thirds vote) to pass, it might only need a simple majority due to the decision in the 2017 case California Cannabis Coalition v the City of Upland. Before Upland, Proposition 218, approved by California voters in 1996, was interpreted as requiring a supermajority for passage of special taxes. But in Upland, the California Supreme Court seemed to suggest that Prop. 218 only applied to tax measures put on the ballot by public agencies — and not to initiatives that got on the ballot via signature gathering. On the ballot, Measure AA stated it requires a two-thirds majority to pass. This language was a decision made by the City Attorney that did not reflect the Upland case, said Emily Matthews of the pro Measure AA campaign. 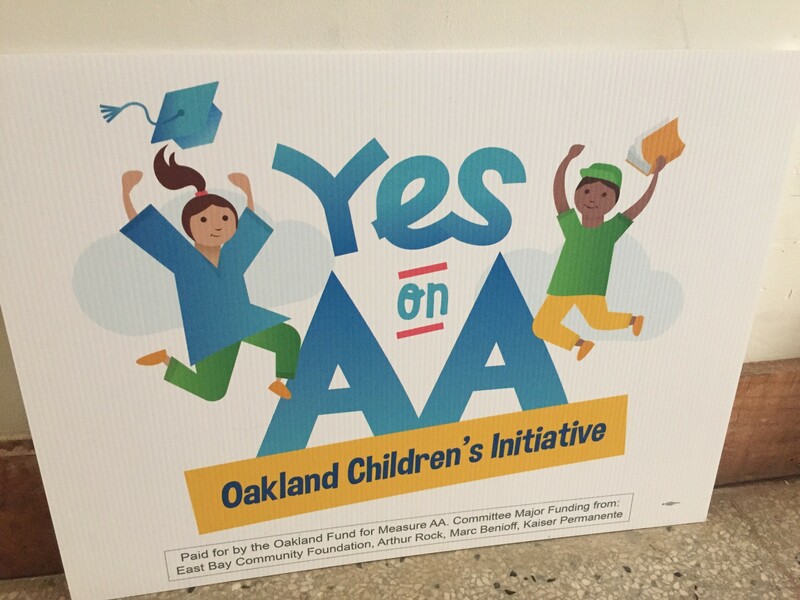 The Oakland City Attorney’s office did not immediately respond to calls and emails about Measure AA. On Nov. 6, San Francisco’s Proposition C, a tax measure initiative, passed with just over 60 percent of the vote. In that case, the San Francisco City Attorney interpreted Upland to mean that ballot initiatives via signature gathering are exempt from the supermajority rule. Opponents of Proposition C are expected to challenged its passage in court.